Sund kost til stærke spillere. En hel uges fodboldkampe kræver masser af energi, og den får du fra maden. Hos Dana Cup sammensætter vi måltiderne, så de passer specielt til sportsfolk der skal yde en høj præstere. Det betyder bl.a. at kosten har et særligt højt indhold af proteiner. Samtidig skal maden være så spændende og velsmagende som muligt. Derfor får vi leveret friske råvarer flere gange om dagen. Vi har udviklet Dana Cup-ugens menuplan i samarbejde med diætister fra Hjørring Sygehuse. Helpension (3 måltider pr. dag) fra mandag (aftensmad) til lørdag (lunch) = A-bånd. 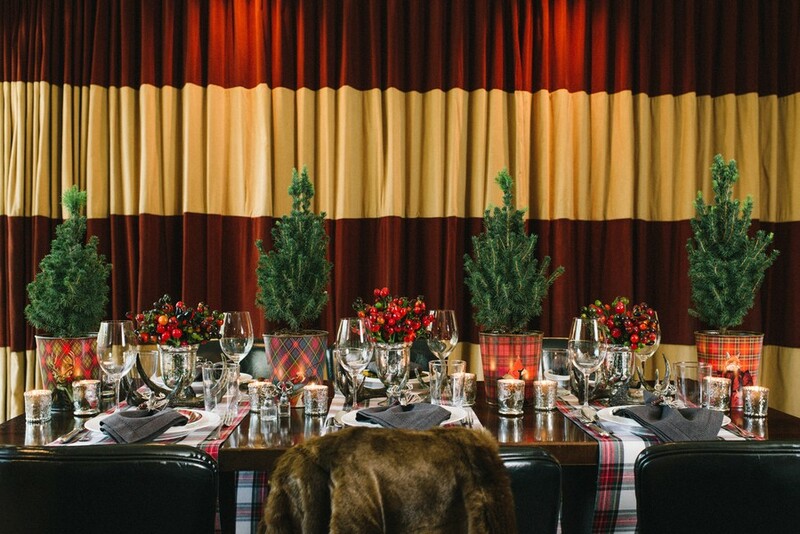 Our next and last pop-up of 2016 will celebrate all things holiday! The music and champagne will flow freely and we will close with dancing, musical performances and more! More details to come. Grab your early bird tickets now! 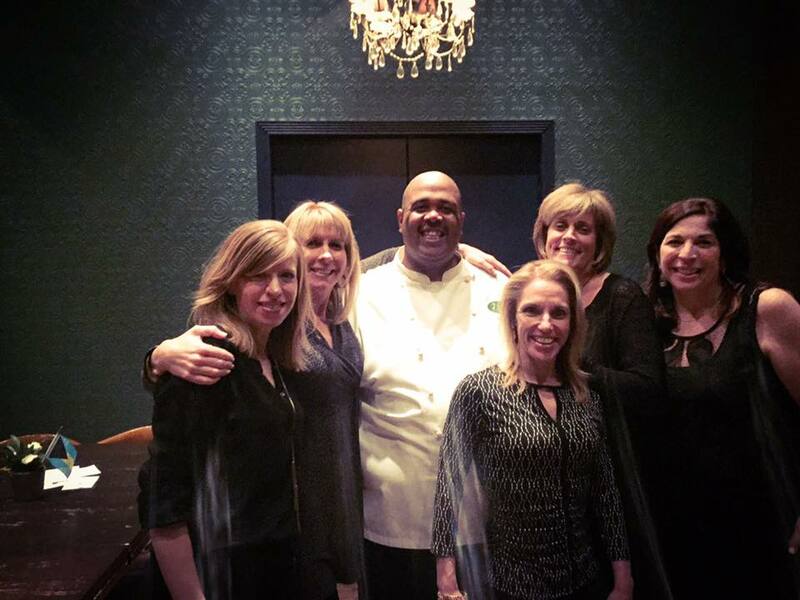 Chef Julius Russell returns to Ampersand with his quarterly pop-up restaurant experience. This installment features a theme of Nu-American meets Summertime in France. With each pop-up restaurant event, I try to bring you something unique in taste, atmosphere and experience. And this summer is no exception. Dining out in the summertime gives you a chance to visit other countries and explore food with no boundaries. Through food, you can travel the world. I invite you to stamp your culinary passport and experience how great life can taste! 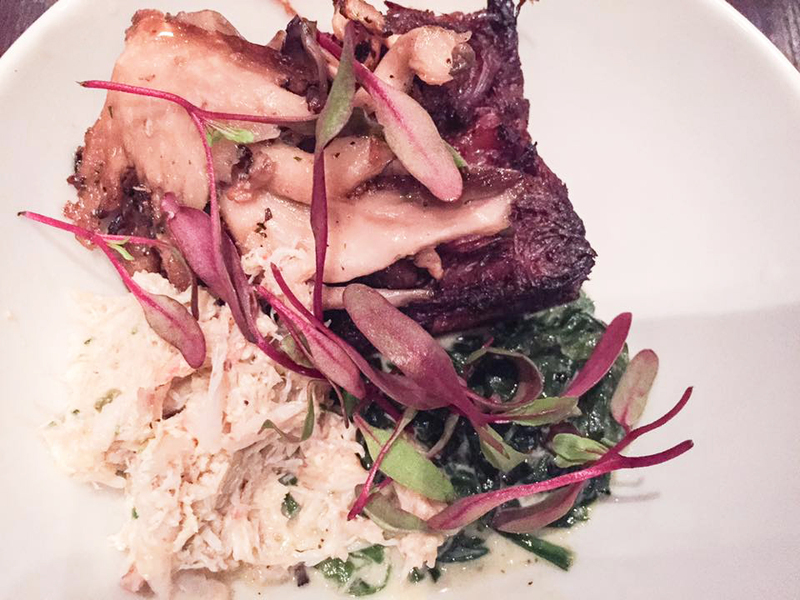 Don’t miss this curated multi-course meal that includes wine and dessert. Looking for “Quick, Easy & Delicious Food to Cook During the Summer”? We’ve got you covered! 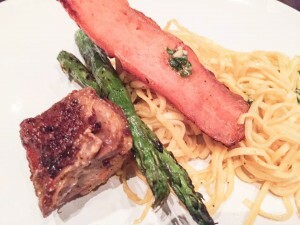 Check out this recipe we featured on FOX Chicago . So when you come off the type of weekend that I have had, it’s hard to slow down and adjust to real life. And then there is a little voice in your head that says, “This is YOUR real life!” Sometimes it takes a minute to take it all in because after a BIG event is done, you get a chance to take a deep breath, get 3-4 hours of sleep…and then you are back at it for your clients. I haven’t had time to do a recap with the team, so that we can make the next one better. I really need to clarify what I am referring. This is my recap and ‪#‎thankyou‬ post for the ‪#‎BahamasMeetsNOLA‬ popup restaurant experience. When we started working on this event, I had about 120 dishes ready to go. Since I knew that was not an option, I had to get it down to 10-12 courses. Btw, that IS NOT an easy task. You need REAL support. You need a main crew that can give insight on what works with the theme and what doesn’t work. That idea may sound like a ‪#‎nobrainer‬. but it’s hard to say no to a dish that tastes really good. The next thing you need is a support crew that shows up on time to execute the vision with NO QUESTIONS asked. That’s even harder because EVERY cook has questions. I appreciate the number of people that give me help in trying to stay on point. For those that don’t what I mean, let me explain. I CONSTANTLY CHANGE WHAT I FEEL LIKE COOKING. There were 6 different versions of the menu before we LOCKED it. After that, I still changed 2 courses. This is why I love my ENTIRE staff. If you need further clarity…here it is. 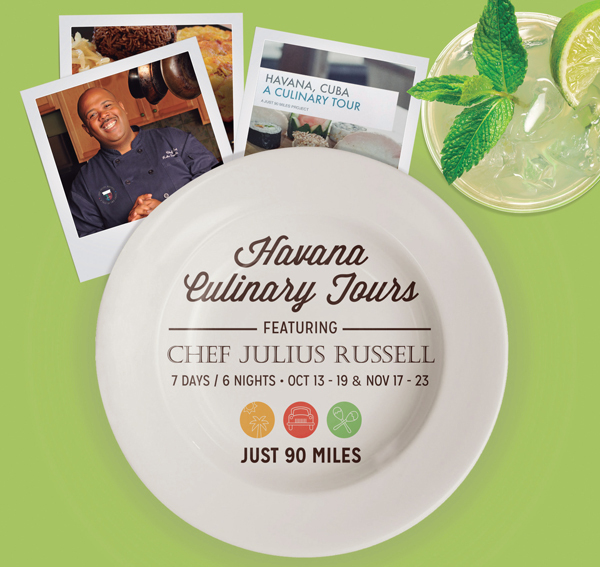 We are very excited to announce our Fall Culinary Tours to Cuba in partnership with Just 90 Miles. We have such an appreciation for the beauty and culture of Cuba and it is a great honor to be able to guide a group of food aficionados through a grand culinary experience! We know the recently changes in US/Cuban relations has sparked much interest in Americans traveling to Cuba, and this is your opportunity to experience it’s wonder. Just 90 Miles covers all of the legal documentation and on the ground arrangement, making this an easy, stress free experience. 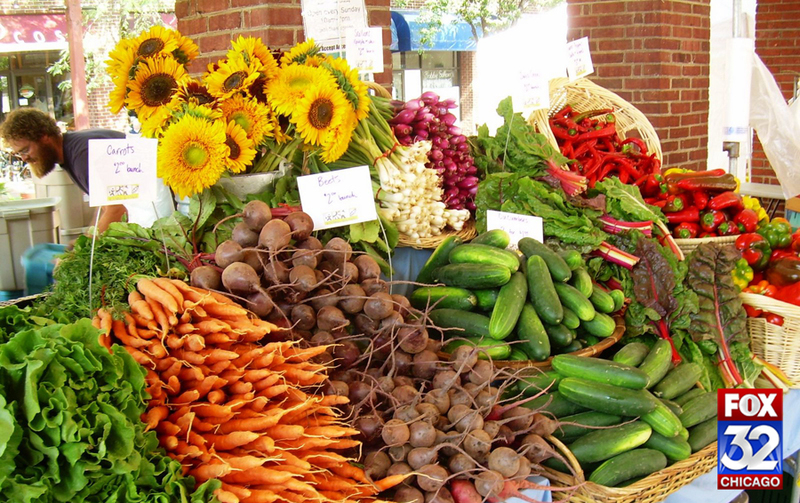 We will visit organic farms, produce markets, local supermarkets, private restaurants. Included are cooking, mixology classes and salsa dancing classes. And of course we will see Cuba’s iconic sights, visit art studios, cigar and rum factories and experience classic American cars. The cost for the tour is $4,295 per person. Rates are per person based on double occupancy. Singles accommodations available. 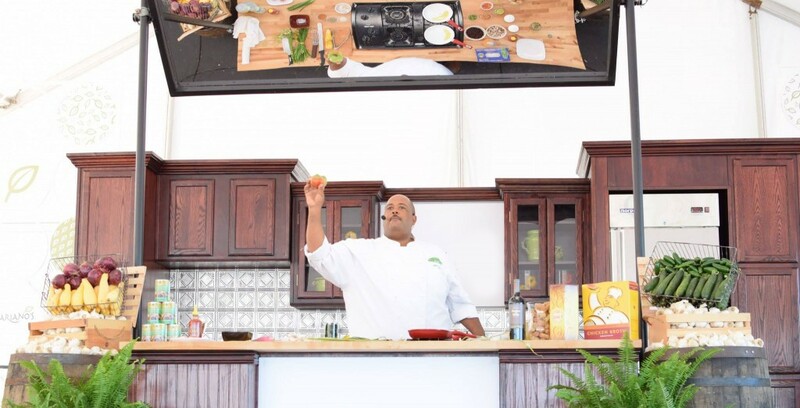 We are heading back to FOX Chicago to showcase fun ways to cook with ingredients from local farmers markets and items hitting the supermarket produce section for spring. Here’s the recipe we will demo live in the Noon hour. Enjoy!